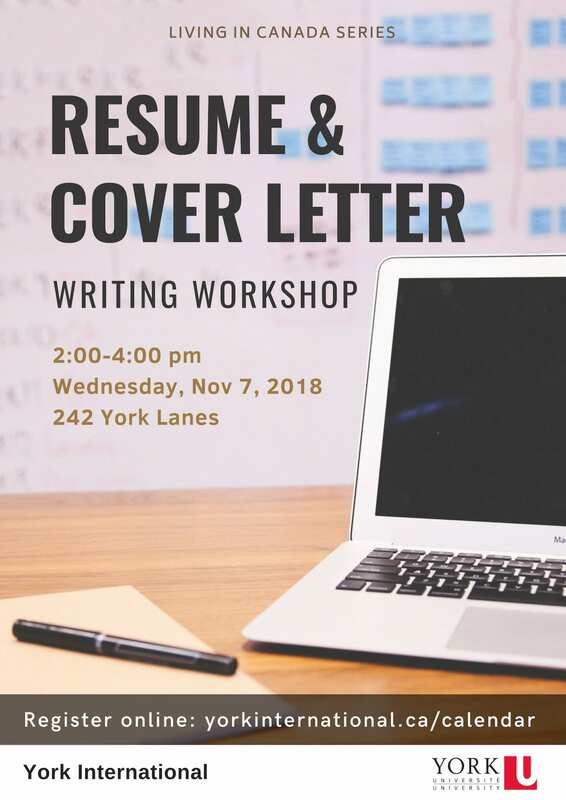 Find out how to effectively target your resumé and cover letter. Present your experiences, education and skills in a way that showcases your assets and piques employers’ interest in you! This workshop will be presented by an expert from the York University Career Centre. Please register for this workshop (registration to be open 2 weeks prior to the event).